It's getting to that time of year where we haunt enthusiasts desperately miss visiting our favorite haunted attractions during the Halloween season. Although October may be far off, the scares we crave don't need to be. The Halloween Experience Volume One provides that much needed fix of visiting these haunted houses but in the comfort of your own home. The Halloween Experience made it's debut last year from Mint in the Box Production, LLC and features six unique haunted attractions from all over Southern California. The attractions include Sinister Pointe, Reign Of Terror, Chambers of The Mausoleum, The Backwoods Maze,The Haunted Hotel, and Fears Gate. Check out the full description of the DVD below! Also a spooky thank you to Phil Crain for sending me the DVD! "Experience Halloween like never before without leaving the comfort of your home. Your host, Bloody Jenny guides you through an immersive nightmare of monsters, slashers and ghosts so real you'll be fearing for your life. So sit back and brace yourself for... The Halloween Experience!" The Halloween Experience captures those spine tingling moments you desire from haunted attractions. Such as, the sound of chainsaws filling the air, the echo of demented dolls calling your name, and everyone's favorite clowns! You aren't alone walking through these haunted hallways, your host Bloody Jenny accompanies you on this terrifying journey. She provides witty humor along the way about zombies and other supernatural creatures that go bump in the night. Although watching this DVD is not the same as experiencing these attractions in person but it's the second best thing! There seriously is a major lacking of DVDs showcasing haunted attractions these days. The only one I have is the Universal Orlando's Horror Nights: The Art of the Scare DVD and that came out all the way back in 2002. I suppose there's always those Halloween specials on the Travel Channel you can record and save, however they only show a glimpse inside the maze and not much more. The selection of haunts shown in The Halloween Experience provides a spooky insight for those who have never had the chance of checking out these attractions in person. Southern California is home to numerous haunted attractions, so it's easy to lose track of how many there are. Especially when there's new attractions showing up each year, it can be overwhelming at times. Throughout the selection of haunted attractions that were shown I've personal only been to Sinister Pointe in the past. I missed a chance to visit The Haunted Hotel last year during the San Diego Comic Con and after seeing that section on the dvd, it makes me wish I had checked it out. But there's always next year! So I enjoyed getting this inside look at not only The Haunted Hotel, but as well as all the new attractions that I haven't had the chance to visit yet. Overall, The Halloween Experience Volume One offered everything I love about haunted attractions. I had a blast watching it! After watching this DVD I had to add these new haunted attractions to my list to hopefully visit next Halloween season. The scareactors shown throughout The Halloween Experience were frightfully delightful to watch, they really do bring these eerie environments to life. 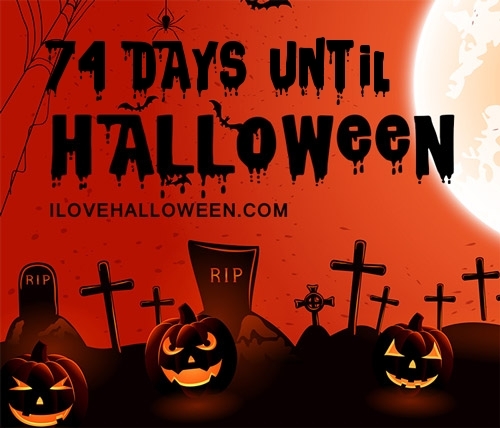 It would be spooktacular to see The Halloween Experience grow and show haunted attractions outside the California area. Looking forward to the ghoulish attractions Volume Two will feature! If you're looking for a fix to keep you occupied till the haunt season begins then The Halloween Experience Volume One will definitely hold you over. There's enough scares and otherworldly creatures to satisfy you until October arrives. ICYMI: The First Trailer for the Winchester House Movie Has Materialized! Zombie Frappuccinos Have Invaded Starbucks!